The Sustainable Urban Living Team have compiled a list of recycling and waste collection sites located in the southern areas of Johannesburg. Please feel free to download a copy from below and use it. Should you know of any other sites please let us know and we will update the list. Sustainable Living is a way of life which looks to the wise and careful use of our resources in our day-to-day lives. The Conservancy will be developing this concept and ideas through a special project which is being prepared. Should you wish to become involved please click here and contact the Chairman. While the project is getting going we will be posting news, ideas and suggestions regarding how we can make better use of what we have around us. This obviously has huge implications not only from an environmental point of view but also to assist in addressing some of the rising costs of living relating to water, electricity and waste. Remember, one person's waste is another person's resource! 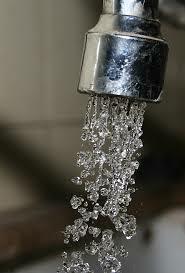 For more information and tips on saving water click here. Soil health: the key to-diverse, low maintenance gardens, high yield productive farms and a sustainable environment. If you have any friends who you think would also like to attend, please share this information with them and invite them to sign up to our mailing list.